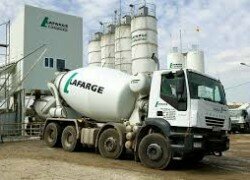 LAFARGE board of directors have expressed confidence that the appointment of Vincent Bouckaert as the new chief executive officer will add immeasurable value to the company. Board of directors chairman Muna Hantuba, yesterday announced the appointment of Mr Bouckaert as CEO to take over from Emmanuel Rigaux following his transfer as head of the Lafarge Holcim West Africa cluster that comprises several countries among them Benin, Cameroon, Guinea, and Cote d’ ivoire. Mr Hantuba thanked Mr Rigaux for his service to the company and wished him well in his new role. He said that the board was confident that Mr Bouckaert would add immeasurable value to the firm and has since welcomed him and his family to Zambia. Mr Bouckaert has vast experience having served in different portfolios of various institutions such as CEO of the Indian Ocean cluster. He also worked as senior auditor after having had joined Arthur Andersen –France among other reputable institutions.